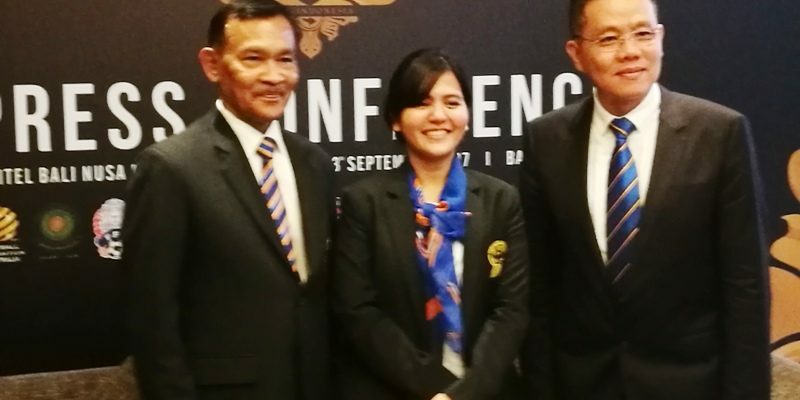 BALI (23 Sept 2017) – A new format for the AFF Suzuki Cup 2018 was announced today following the 12th Council Meeting of the AFF that was held this morning in Bali. Unlike previous editions where teams are based in two countries after being divided into two groups, this time round teams will play in a home or away basis. Ten teams will still be divided into two groups but now they will play two matches at home and two matches on the road – depending on the outcome of the official draw. In accordance with the latest rankings after the 2016 AFF Suzuki Cup, Timor Leste and Brunei will have to play in a qualifier – also home and away games. The date of the two games will be on 3-11 September 2018 which is a FIFA calendar week. The winner will then join the remaining nine teams to make two groups of five teams each. Australia are not participating in the AFF Suzuki Cup. The dates for the final round of the AFF Suzuki Cup 2018 will be on 8 November to 15 December 2018.